All items are refundable, but as they are all custom made to order you will receive a full refund minus shipping and a 25% restock fee. You must also contact us before shipping your package back to receive an RMA#. If you return the item without an RMA#it will not be eligible for a refund. 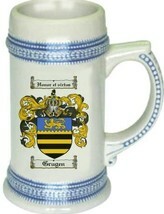 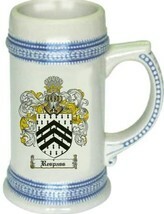 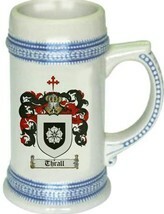 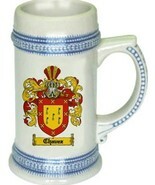 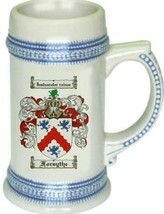 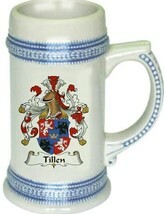 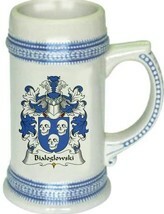 Product reviews for "4crests Tankard Mug"
Great quality- image and detail! I vas pleasantly surprised at the quality of the stein, you never know what you'll get when you buy off the Internet. 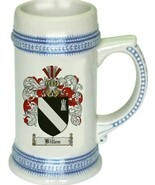 The stein is heavy solid material and the crest is flawless. I can't wait to see it opened at Christmas and I'll definitely be back for more purchases! Loved both the items, the quality & craftsmanship of the steins were beyond expectations. Two different family crests & two very happy men in my life! 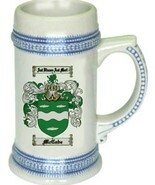 The product that was received was "as advertised". It is more of a decorative piece than for actual use, which is what I ordered it for. The mug was a hit with the entire family. Catalogued as "4crests Tankard Mug"